Nobody else offers this kit. 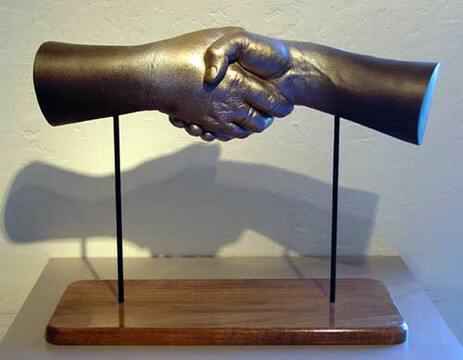 With it you can produce a 3D casting of two hands meeting in the middle. Shaking hands is not the only pose that can be done. A variety of poses are possible. The mounting is not included, but everything else you'll need is in the box. We worked hard to design this kit so you wouldn't have to. The unique thing about this kit is the mold bucket that makes it all possible.